Li’s Kitchen has been quiet for a while for Li is really busy with cooking innovation these days. Anyway, Li is back today, cooking for us an appealing dish. Since ancient times, Guangdong Province in south China has been a place where the East meets the West and the Chinese and ASEAN cultures mix. And these historic exchanges can be traced in local dishes. 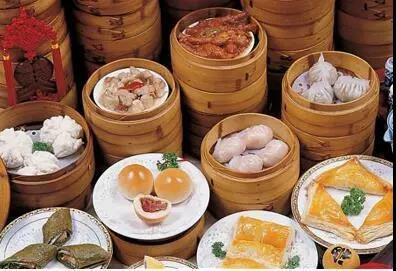 Times change, but the Hakka people in Guangdong still cherish food a lot. They never forget their ancestors’ refugee days when they suffered severe lack in food. Hakka women are cute and smart, and they can cook tender delicacies out of seemingly plain ingredients at home. Tasting local dishes is a pleasant way to know about Guangdong and the Hakka people. And for some reason, foodie Mr. Li recently roasted oysters, and cooked fish balls, pork porridge, spiced duck and chicken at home. Of his new dishes, the best one, Li believes, is Plain Chicken. Here are the cooking steps shown in the video above. 1. The fowl comes from the rural farmhouse. The traditional cooking steps are as follows: slaughtering, cleaning, curing, and more. 2. Smear salt on the slaughtered and cleaned chicken and put into the cavity some ginger and shallots. (One-hour curing). 3.The dipping sauce is particular. 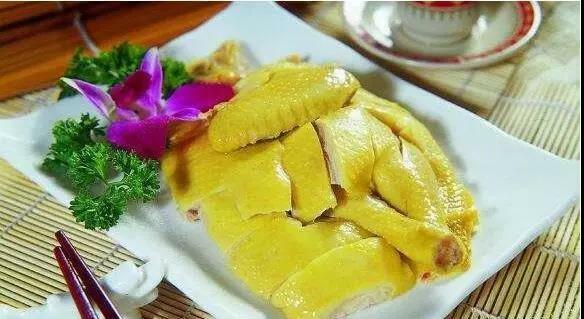 A cool and tender plate is need, with ginger bits, green onion and garlic paste in it. Add into the plate some salt, white pepper, chicken powder and oyster oil. 4. Mix peanut oil with lard and heat it. When thick smoke appears, pour into the oil all ingredients in the plate. Be calm and decisive in this. 5. One hour has passed. Then have a large pot of boiling water, and put the cured chicken into hot water. Turn around the chicken several times to have it heated evenly inside and outside. 6. Turn down the fire and cook the chicken for another 15 minutes. Take out the chicken and quickly soak it into an iced water tank. Whenever the water gets warm, discharge it and add more cold water. This step will last till the chicken skin shrinks and the interior cools down. Be patient for thorough cooling-down. Finally, freeze the chicken in a fridge for half an hour. 7. Now you free cut the chicken into pieces and patterns you favor.“Yum,” Li exclaimed, sucking the rich juice and enjoying the tender chicken. The invited foodies all lauded Li’s cooking. “I am not trained to be a cook, so I have to work harder to live up to the praises,” Li thought. Li sets us a good example in self-teaching for fulfillment.